Shoot pistols, rifles and shotguns up to a max distance of 25 yards! 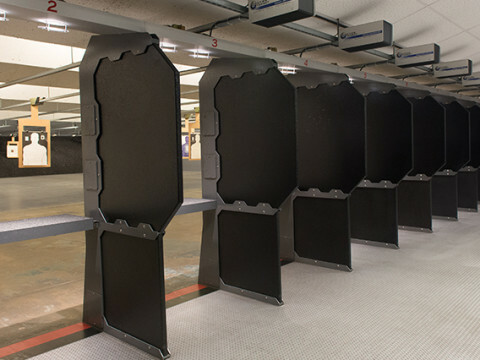 Our range has some of the widest shooting stalls in the area, with padded top shooting benches and computerized target retrieval systems. 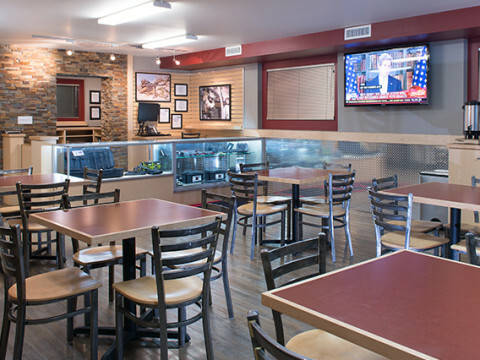 Our ventilation system is the best in the industry. The air you breathe in the range is actually cleaner than the air outside! Our target retrieval system provides stable operation, quick target response, and more precise control than traditional “sag and sway” target retrievers. Push button operation allows targets to be placed at half yard increments. The lights in each stall are adjustable to 10 different levels. Four programmable target distance buttons for quick set targets. Get more time on the trigger and less time positioning your targets! And with our system, there is less time wasted waiting for your target to stop bouncing and swaying! Maximum 3 shooters per lane if busy. 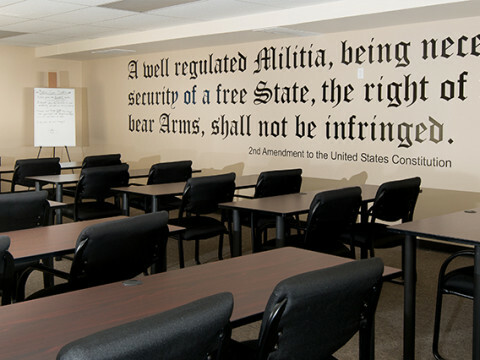 The person renting any firearm MUST be 21 years of age or older. 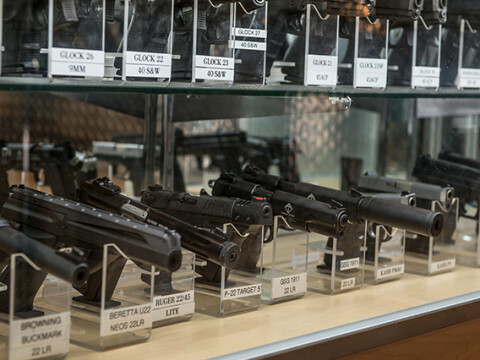 Wolf, Bear, Tula, Bi-Metal, Frangible, Aluminum Case, Steel Case, Tracer Rounds, Incendiary, Armor Piercing, and Steel Core ammunition of ANY caliber is strictly PROHIBITED at the range. As a general rule, Muzzle Energy over 4000 Ft Lbs will not be permitted at the range. ALWAYS keep your firearm unloaded until you are on the firing line and ready to fire. DO NOT load firearms anywhere but on the firing line. All firearms not on the firing line must be stored unloaded in a case. 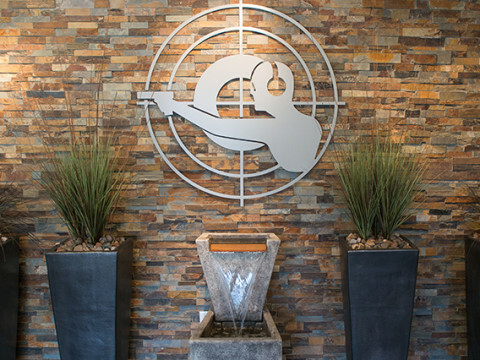 All shooters must complete and sign the range release, waiver, hold harmless, indemnification and assumption of risk before entering the Range. 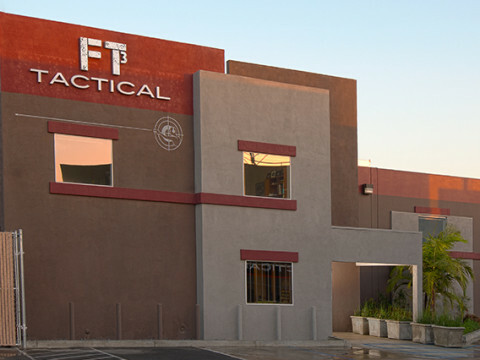 Tracer, incendiary, armor piercing, steel case, steel core, bimetal, Wolf, Bear and Tula ammunition, in ANY caliber, are strictly prohibited at the range, at any time. Violation of this policy will result in the shooters immediate removal from the range. Command issued by Range Officers and Range Personnel must be obeyed immediately and without question. Only approved targets may be used. Shotguns must have a buttstock. All rifles must have sights. All firing from the firing line (i.e. from within the shooting booths) must be aimed fire. All firing from the firing line is Slow Fire, that is, there must be at least a one second pause between any shots. You are not allowed to draw from a holster unless authorized by the management. Never clean firearms anywhere on the premises. Range Officers reserve the right to inspect any firearms or ammunition for safety considerations. If you are not sure of something, ask a range officer. All long guns must have a chamber flag installed at all times until on the firing line and pointed downrange. You are responsible to reimburse the Range for any damage you cause to the Range. For a schedule of the estimate of fines, ask the Range Master.